How was your week on Stardoll? In my opinion, this week was kinda interesting, with some new releases and campaigns and stuff. I hope you enjoyed it, and I hope you will enjoy my recap as well, which starts now. 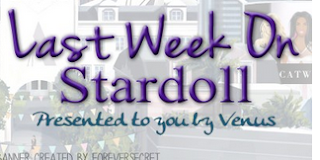 The week started with a hint of an upcoming campaign by Stardoll, by releasing new store named 'Endangered species'. The store is ok, with some nice, ordinary items. 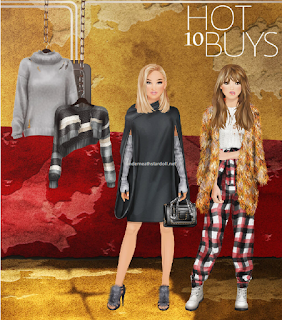 What really mattered is Endangered Species campaign launched on Stardoll. Like few years ago, Stardoll is raising awareness of animals diversity that is rapidly declining, a species going extinct and ecosystems being destroyed. I am really glad Stardoll is taking part of that important cause and teaching young members to become more aware of the issue. They have also launched a campaign where on select superstar/stardollar packages, users get those cute animals, and Staroll donates a part of a profit to an organization chosen by Stardoll members. Unfortunately, it doesn't work on paying by sms, and I am not comfortable using other methods of payment, so I am really sad I won't be able to take a part of a campaign. On Wednesday, we got new Callie's Picks collection, named "Fiction Fabulous". On Thursday Stardoll announced a 30% off leaving sale on 2nd floor of the MSW15 store as well. Of course we got a sale on 2nd floor too, why was I thinking we wouldn't? Anyway, I already bought most of the stuff I wanted so this sale meant nothing to me, but to you, it may be a nice chance to snag some gorgeous bargains. Seriously, there are many nice, elegant and glamorous items, perfect for certain occasions. Bye MSW15, now for real. On Friday, we got new Tingeling Halloween Couture collection. Okay, this collection is just fabulous, with so many dark, couture items, really appropriate for this holiday, like a contrast to this weeks CP. There are many gorgeous gowns, some great accessories as well, and even a boy outfit, I plan on spending a nice amount of stardollars on those items, just wondering whether to wait for a sale, whether we will have one. I still think I will not be taking the risk on missing some of those beauties. 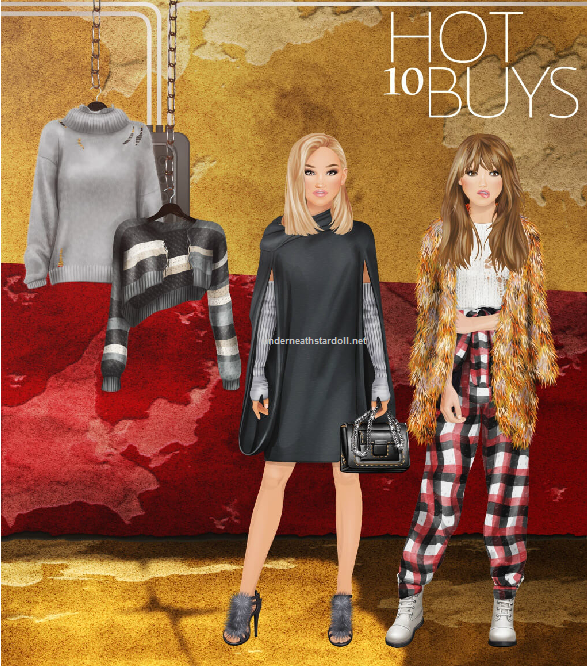 The same day, Stardoll announced November HotBuys. This time, I am surprisingly pleased with the overall look of a HotBuys, at least ones on the left side of a pic. The sweater and cardigan seem really cozy, the dress is kinda unusual, but really pretty, and so are armwarmers. Not a fan of the outfit on a right, as I dislike fur, and those pants look like PJs. Anyway, looking forward on buying some and trying to use them in outfits. And on Saturday, Stardoll released a new limited collection, named "Runway". The collection is inspired by Paris Fashion week Spring 2016 RTW runways. There are some nice dresses, outfits, and I am especially loving the shoes. It is surprisingly available for all members, (except one outfit), and I hate myself for buying so many items which I probably won't wear once. And do we really need more limited stores? Prices were ok, but if those items were, for example, in Voile, would you pay that much for them? That's it for now. No spoilers yet for tomorrow's release, and I hope it is nothing limited, I hope we get something interesting, maybe a new update or something. Anyway, I hope you enjoyed my recap, vote, comment, and see you next week.